Des Moines garage door sales and repair. Request a free quote today! For sudden or emergency repairs, we are available seven days a week, from 6 AM to 10 PM. If you would also like to stay up to date with ongoing maintenance, please ask about our annual Preventive Maintenance Program. Is your garage door opener noisy, slow, or broken? Is it time to stop manually opening your door every time you need to get in your garage? 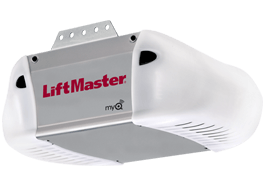 As authorized dealers for Chamberlain garage door openers in Des Moines, we offer sales and service for the expert-recommended LiftMaster garage door opener system. One of the safest garage door openers on the market. Cutting-edge innovations to reduce noise and even operate your garage door from your smartphone! Up to lifetime motor & belt warranties on many models. Advanced security features to protect your home and family. 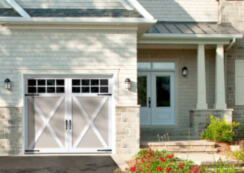 Our certified experts provide professional garage door opener repair and installation for your existing garage door, or with the purchase of a new Garaga door system. Ask us today about how we can help! If you're selling your house and looking to increase its value, transforming your garage into a living space, or looking for an upgrade in durability and style, we can help you choose your dream garage door. A top-of-the-line, industry leading garage door manufactured exclusively in Canada. High quality construction with the newest innovations in door system safety and security. The durability of steel and superior energy efficiency of polyurethane foam insulation. A wide variety of styles and colors to choose from, with custom options. A door built to last over 25 years, with a limited lifetime warranty. We are proud to be an authorized Garaga garage door dealer and certified as expert installation technicians. 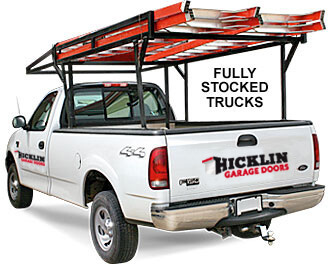 Ask us how we can help you with a residential, commercial, industrial, or agricultural overhead door solution for your Des Moines home or business! Serving Des Moines, IA and surrounding areas.